Read about Quartz Countertops and Surfaces for your home. Quartz engineered stones are made up of the natural stone taken from a quarry, added to a polymer resin and colour pigments. This allows the manufacture of a complete spectrum of colours. Quartz has a sophisticated appearance; it has the feel and weight of natural stone but with a striking modern minimalist quality. Quartz can be used in the creation of the most beautiful kitchen worktops. Most colours are available and very consistent in their makeup. It is a non-porous stone and thus very durable making it very difficult to mark or scratch. Silestone is a compound made of 93% natural quartz making it exceptionally hard and resilient. It is the first and only quartz worktop with anti-bacterial protection, giving it hygienic properties that are unique on the market. It is the perfect material for applications in kitchens and bathrooms, as well as for laboratories, hospitals, hotels, restaurants and other professional uses where minimal joins are required. Silestone® allows new concepts and spaces to be created with cutting edge design thanks to its wide range of colours and finishes, resistance and flexibility. 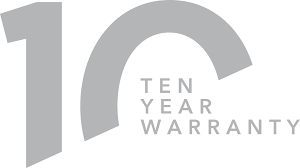 The original brand for a new kind of surface, it is the market leader with the biggest share of quartz worktops for kitchens as well as bathrooms surfaces. 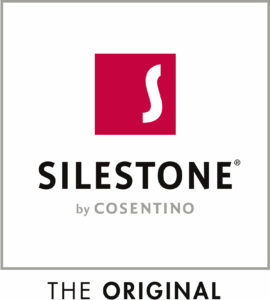 The US, Spain and the UK are currently our main markets for sales of Silestone. Welcome to the COMPAC experience. COMPAC, THE SURFACES COMPANY, is the leading company in Spain marketing high quality decorative surfaces. Founded in 1975, we were the first Spanish company specializing in the manufacture and distribution of marble and quartz surface coverings. Today we are a large multinational with 100% Spanish capital that has learned how to grow while preserving our flexibility and independent decision-making spirit. Quartz is more than beautiful. It is also one of nature’s hardest minerals. Containing up to 93% natural stone, Caesarstone surfaces combine practicality with stunning design. Technistone high-quality surfaces combine natural raw materials (quartz) with cutting-edge mixing and pressing technologies. Thanks to its unique properties, Technistone suits the needs of every modern household. Technistone is pressed into slabs that are later processed into the required products. We offer a wide range of usage for interiors & exteriors, and not only for houses but for commercial spaces as well. TechniStone® quartz is highly resistant to scratches and chemical damage. Above all, it is stone made by people for people from the finest natural materials.